With Kurt Bush being investigated for domestic assault, brawling becoming commonplace on NASCAR pit lane and Tony Stewart’s accidental killing of young Kevin Ward, 2014 has provided a chilling look into the bleak future of racing, much less society. It is American society that is the target audience of this madness and of course a certain segment eats it up to the tune of hundreds of millions of dollars a year. 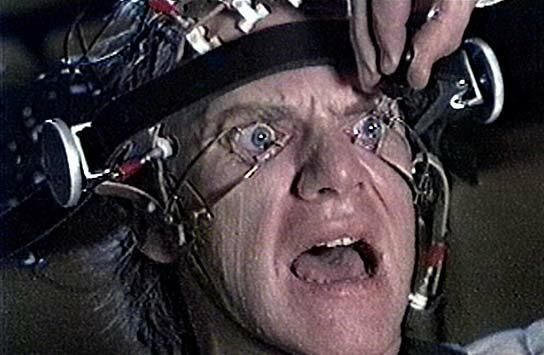 While many movies may come to mind when pondering the troubling state of NASCAR – Rocky, The Jerry Springer Movie, or even Idiocracy – it seems compellingly clear instead that NASCAR has morphed into ‘A Clockwork Orange’ series. 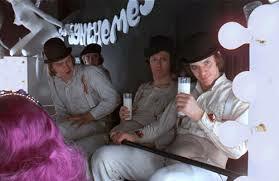 The 1971 Stanley Kubrick classic features a dystopian future of “ultra-violence” often perpetuated against women by a youthful gang of “droogs” who steal, brawl, wreak havoc and play “hogs of the road” in fast cars for fun. The first thirty minutes of the film are difficult to watch yet at the same time impossible to turn away from, as it’s beautifully and even at points comically done. Kubrick’s jarring masterpiece was extremely controversial upon its debut and initially drew an X rating in Britain. But when watched in its entirety the latter part of the film is redeeming, making a number of relevant criticisms of such a grim, out of control society – a society much closer to reality now than forty years ago. 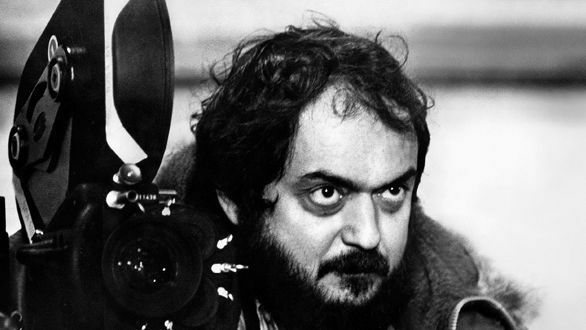 Ahead of his time, Kubrick knew that the media buzz generated by such a shockingly graphic movie plot – even one that starkly warned against the unintended consequences of violence, media manipulation and government intervention – would be invaluable. The film, based on the Anthony Burgess novel, follows the main character and “droogan leader” Alex through prison, experimental medical treatment and a government implemented “cure” before he’s released back into society. Now ironically completely conditioned against violence, the once terrifying Alex becomes an almost sympathetic figure by the end of the film due to the punishing poetic justice he receives at the hands of those from his felonious past. 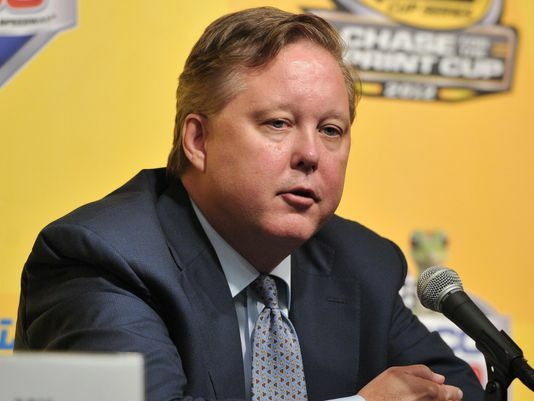 Is this an argument that Brian France is the Stanley Kubrick of racing? Not hardly, not by a mile. But as Kubrick illustrated so vividly in ‘A Clockwork Orange’ and also while publicizing the film, people are fascinated by violence on a primitive, base level. When media manipulation of these base human emotions occurs on a mass scale, it can create a volatile, corrosive yet wildly popular mix. 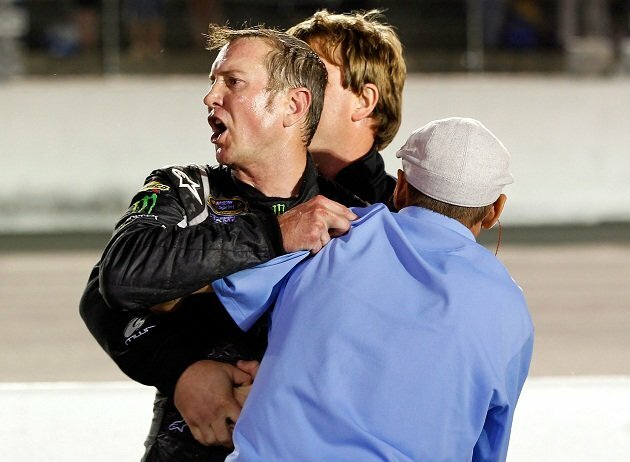 It seems to us that’s the current state of NASCAR and that the series is helping to make violence acceptable. After all NASCAR’s not a film fantasy, but real life. Who benefits from such outrageous displays besides Brian France and his billion dollar series? It’s certainly not the American public. “Violence makes violence,” the chief inspector says to Alex in the film. For NASCAR and Mr. France, violence makes headlines. Violence makes money. Ancient Roman politicians provided gladiatorial games fought to the death to distract the public from corruption and to satiate their need for entertainment, their innate blood lust. Kubrick appropriately flashes back to the bloody period briefly in the film, with Alex proudly “dressed in the height of Roman fashion.” Today the federal government heavily subsidizes NASCAR – the gladiatorial games of our era – to the tune of millions of dollars every year in tax breaks, subsidies and sponsorship. It’s government bureaucrats in ‘A Clockwork Orange’ who, after subjecting him to torturous “treatments” take up Alex’s cause in the guise of smiling “friends” who feed and promise to take care of him. These powerful friends are in reality far more concerned about “the public verdict” on their own political careers than his individual welfare. With NASCAR today, one wonders about the government’s motivation in funding a perfectly profitable business with a ceaseless stream of taxpayer dollars. There are troubling parallels to the dark, violent, crime ridden future envisioned by Kubrick in ‘A Clockwork Orange’ and a certain racing series in the present that’s symbolic of society at large. As in the movie, recent NASCAR violence including Kurt Busch’s alleged assault on a woman generate much attention from the media while the frenzied public can’t get enough. In fact, Busch has a long history of such violent outbursts and the media profited from them, as well. 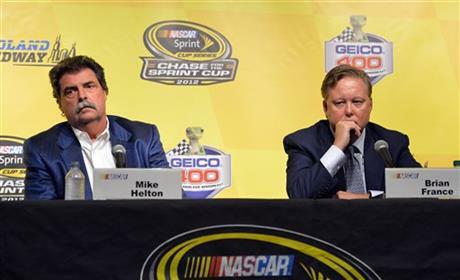 Even though the press coverage is overwhelmingly negative in these cases, NASCAR like the media stand to make a lot of money – like the film itself did – not in spite of but rather because of the surrounding controversy. Sadly, we still haven’t learned the lessons from the end of Kubrick’s movie, that attention-grabbing public actions often have disastrous unintended consequences down the road, no matter their fleeting profit value. Are we suggesting radical brainwashing treatment for Mssrs. Busch, France, the press and others the likes of which Alex endured in the film? 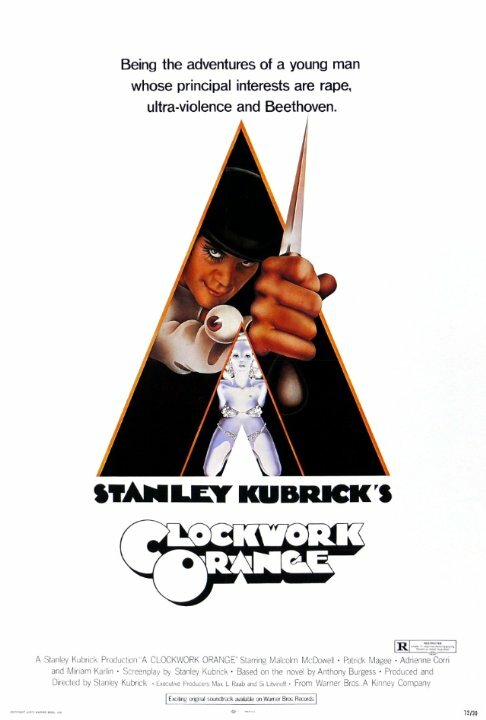 Certainly not yet, though perhaps Kubrick’s ‘A Clockwork Orange’ is worth another look, a view beyond the vile and shocking violence to the worthy, redeeming moral behind the movie. This entry was posted in A Clockwork Orange, Brian France, gladiatorial games, Kurt Busch, media coverage, NASCAR, Stanley Kubrick, violence and tagged A Clockwork Orange, Brian France, gladiatorial games, Kurt Busch, media coverage, NASCAR, Stanley Kubrick, violence by IndyRaceReviewer. Bookmark the permalink.